That’s a wrap, folks! Every Xperitas group has returned home safely, meaning that the 2018 travel season has officially come to an end. We were grateful for another year of incredible partnerships with so many wonderful schools, teachers and students. Without them, we would not be able to advance our mission of transforming lives though shared global experiences and intercultural learning. So, we’d like to extend a thank you to all that we were fortunate enough to work with this travel season! 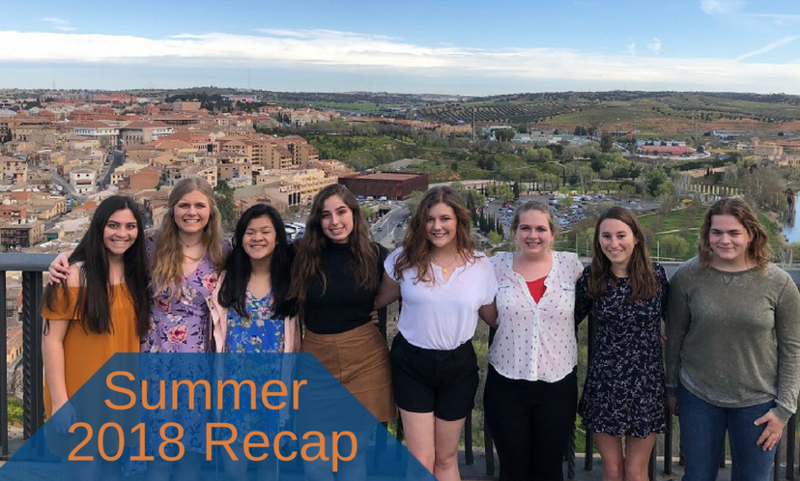 Our 2018 summer groups included French, German, Spanish and Mandarin Chinese language students who traveled abroad to eight different countries. Upon the programs’ returns, we gave students, parents and our traveling teachers a few days to reflect upon their experiences before sending them a post-program feedback survey. We asked questions related to every aspect of the experience, whether it’s the planning process, their interaction with Xperitas staff or their experience during the actual program. We also ask how the students’ global competency skills have improved in some key areas, and whether certain educational goals were met. After combing through the feedback and input, we’d like to take this opportunity to share some of the results with the Xperitas community. First, we will start with our program participants, our traveling language students. On average, students rated their overall language immersion program experience a 9 out of 10. My family truly made an effort to facilitate my stay; from the minute I stepped into their home, I knew I was in great hands. They were very patient with my Spanish, and they never hesitated to slow down or rephrase their own speech when I didn't understand. I never felt like a burden, nor did I ever feel excluded. My family and I did a lot of fun things together. We went on hikes/walks in neighboring towns and walked their dog both around their town and around a nearby lake. We also went to Rennes to visit a museum, to Dinard for the market, and to Saint-Guirec (Kerdu) to go to the beach. My favorite moment, though, was the last night when we watched the Russia-Croatia soccer game and took their dog on a walk at halftime. The sun was setting, and we let the dog off the leash at a sports field and I was really overwhelmed by how beautiful my host family's life is and that they get to live it every day. My family always worked really hard to involve me in their conversations. We always spoke German together and they spoke slow and clear enough for me to understand but still feel like a part of the group. That was huge for making me feel comfortable. My family stay was amazing. My host sister and I got along wonderfully, and I love her so much I didn't want to leave. My entire host family was very accommodating and tried very hard to get me to understand what they were saying as well and understanding what I was saying. They incorporated me in their lives and I had an amazing time. My family was extremely kind and welcoming. They talked to me all the time and asked me how I was feeling and if I was happy, hungry, sad, etc. They always explained until I understood the Spanish and they talked slowly for me! They showed me what they do on their daily routines and took me fun places. I met lots of their family members and they also hung out with my friends from my group and their families as well. I couldn’t have asked for a better family. My Spanish improved tremendously in Costa Rica; I really benefited from (and enjoyed) the opportunity to utilize my Spanish with real, native speakers. The language practice one receives in an immersion experience (such as this one) is unparalleled. I loved speaking with people and being able to communicate in a completely different language than I’m used to hearing. I also loved seeing all the sights that some people can only dream of. It was like a dream come true. Having to struggle to speak French in certain situations was something I hadn't experienced before, and I greatly appreciated when people would be patient and understanding with me when I tried to communicate with them. Now I feel a lot more sympathy for people who struggle to speak English in normal social situations that I once took for granted, and I am more inclined to be patient and help them feel less stressed as they navigate a new, very difficult language. While I was with the host family, I was able to catch on to new words and phrases that I wouldn’t have learned in a classroom setting. I was able to joke around in Spanish and speak with them as if I spoke Spanish a lot! I was so surprised with how much I could comprehend by the end of the family stay. Our tour guide, Alex, taught us many things about the culture and helped with our speaking as well! Same with the two teachers that came along on the trip. One time I felt especially proud of my abilities was when I was explaining the premise of a show we were watching to my host mom and sister. We were watching the pilot episode of The Handmaid's Tale, which I had not seen but had read the book for. The story is set in a future dystopia that has been corrupted by extreme religious values, and sexism is institutionalized. Attempting to explain this pushed my Spanish to its limits but getting the meaning across filled me with immense pride. On average, group leaders rated their overall satisfaction with Xperitas at a 9 (out of 10). 100% of our group leaders said their program locations and destinations were complementary to the learning objectives and goals for their group. 100% of our group leaders said their program was a culturally rich experience for their language students. Xperitas program managers received an average a 9.1 (out of 10) score for their overall performance! I love the connection that the Xperitas Staff makes with the teachers. This is what sets them apart from all of the other travel companies out there. You won't find a more efficient, friendly staff than there is at Xperitas. Don't even waste your time comparing student-travel companies because Xperitas is the BEST! The partners in Costa Rica are fabulous! Everything was well-organized, and kids were always engaged. Our guide, Jimmy, truly is an educator and ambassador of his country. All of the students and leaders really enjoyed his personality, love of his country and knowledge. Homestay was also very wonderful! Continue your outstanding work because the programs you offer are truly rewarding experiences for students and leaders alike. I am so thankful for the patience, care, and flexibility that Xperitas practices with its school groups. We were able to accomplish so much with our students in terms of language and culture acquisition because of this organization and because of this trip. The family stay had a particularly powerful impact on our group. It was amazing to see students who didn't want to eat the first day of the family stay cry because they don't want to leave on the last day. As we arrived at MSP airport, one student was tearing up and said, "I don't want to be back in the United States." The Xperitas staff, on-site guides, and all staff associated with Xperitas' programs work so hard to provide a once-in-a-lifetime opportunity for participants. This company makes it very easy for teachers to provide a polished, packed with fun and interesting to students. Best bang for your buck! 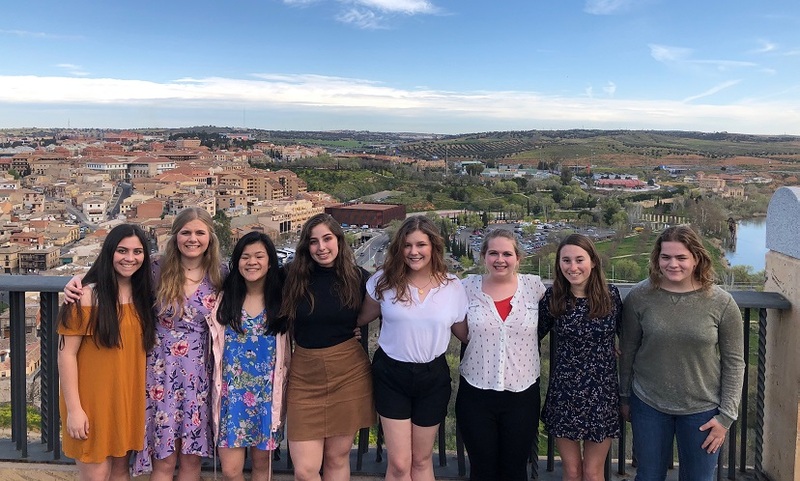 Same places that EF goes for half the price and a homestay is the only way you can guarantee your students will speak Spanish and truly understand the culture. 94.56% were satisfied or extremely satisfied with their experience with Xperitas. 92.64% noticed an increase in confidence in their children. 90.43% noticed an increased level of self-esteem in their children. I am most proud of their global awareness, the experience of traveling abroad to places he'd never been and may not be again, of making memories that will last the rest of his life, of learning new perspectives. Of seeing differences that make us stronger together. Of seeing similarities that bind us all together. These are the things he will carry with him throughout life and the things that come back to him as he goes through his years. I don't think Noah experienced any profound changes, but I do believe he experienced affirmation. The experience solidified his desire to study international business with an emphasis on the French language. He truly felt immersed in another culture and loved it as much as he hoped he would. My daughter learned so much from the family stay. She pushed herself out of her comfort zone and, as a result, learned so much. She came back more mature and independent. – Ruth G.
[My daughter] learned how capable she is doing things on her own. She also found out how lucky she is, and things are not that important to her. She values her Costa Rica friends immensely and was treated really well by them. They are still friends now and talk almost every day. Her understanding of the Spanish language, slangs etc. has improved 100%. She values experiences and people over things. She was always that way but even more after this trip. Her immediate desire to go back to China, which I hope will translate into continuing to learn Chinese in college. My biggest fear was sending Lauren to the host family for 6 days. I was concerned that I didn't know the family and that Lauren would have no one from her program with her and I thought it might be too long to stay. It turned out that the host family stay was the greatest part of the trip. The family spoke very little English, so she was forced to speak Spanish. She said this helped her Spanish skills immensely and she is grateful. She also met so many incredible people at the host stay and now has friends for life. It was at the host stay where she felt a part of Costa Rica and her homesickness went away. She wanted to stay longer! Thank you again to all our 2019 participants, parents and teachers! Planning for our 2019 programming is already well under way. As we now are able to fully focus on the 2019 travel season, we will use these post-program survey metrics and comments to improve and perfect our language immersion programming for next year. Happy travels!